Most light pulls brighten up your room. Hanging Harry, on the other hand, darkens it up. 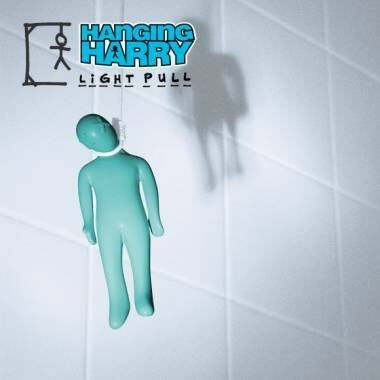 The suicidal light pull comes with a limp, lifeless body and 6.5 feet of string/rope. It'll appeal to your morbid sense of humor (or make everyone think you're weird). It goes for $15, which is a lot cheaper than Prozac.